Work for NextStep Behavioral Health Integrated Care Software? Learning about NextStep Behavioral Health Integrated Care Software? I have worked with this kind of software before and I love how easy it is. I think that the thing that I like the most about next step is how everything is electronically. I like how even when something is not done electronically, it can be scanned and uploaded to NextStep. I sometimes dislike the fact that NextStep times out. While I see the benefit in this, I would like for things to save BEFORE it times out. Sometimes files that I am working on time out while I am on lunch and then when I come back, all of my hard work is gone. I would like an automatic save option. I would completely, whole heartedly recommend this software. If you have rookie, like me, that you want to learn the ropes in a short amount of time and be good at their jobs, please consider NextStep Behavioral Health Integrated Care Software. "Great product, not the prettiest or most financially savy"
The ease of use for clinicians as well as the customization for other programs. The finance side is a little difficult to work with. The program is really great and very customizable. Start-up costs are not cheap. Implementation is fine, not easy, but not too difficult or overwhelming. The financial side of the system is not as integrated as hoped and hard to use. Electronic Health Records software for our clinical programs. * We monitor all NextStep Behavioral Health Integrated Care Software reviews to prevent fraudulent reviews and keep review quality high. We do not post reviews by company employees or direct competitors. Validated reviews require the user to submit a screenshot of the product containing their user ID, in order to verify a user is an actual user of the product. Hi there! 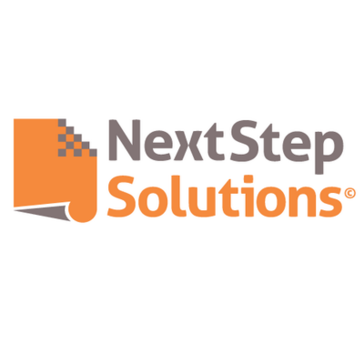 Are you looking to implement a solution like NextStep Behavioral Health Integrated Care Software?